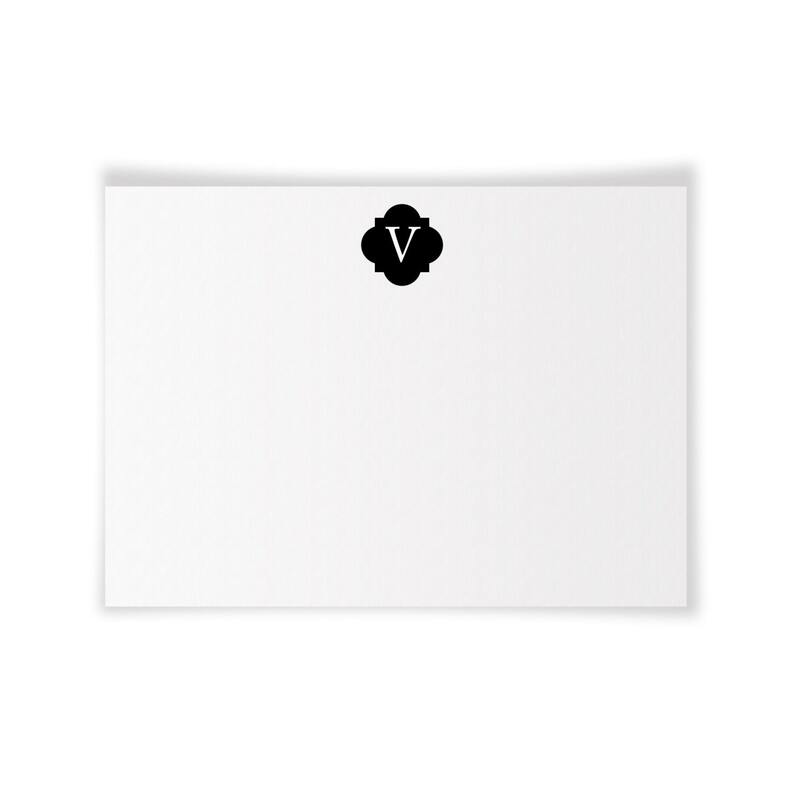 Instantly brand yourself with these printable personalized notecards monogrammed with the letter "V"! Digital download/printable notecard for DIY printing. Upon receipt, you may print your notecards personally or take them to the printer of your choice. Please note that all designs are for personal use only and may not be resold or redistributed. All designs, images and text are copyrighted and may not be reproduced, stored or used without written permission from the owner. Printables may be used personally or given as a gift but may not be reproduced for commercial use or resale. Custom and Personalized Orders | A low resolution, digital proof of the item will be emailed within 2-3 business days. Proofs will be sent to the email address linked to your Etsy account. Upon approval, the item will be produced and shipped within 7-10 business days. If your order is time sensitive [for a special event or occasion] please contact me before ordering. I AM Happy to expedite orders if necessary [additional design and shipping fees may apply].